In the end, people will judge you anyway. 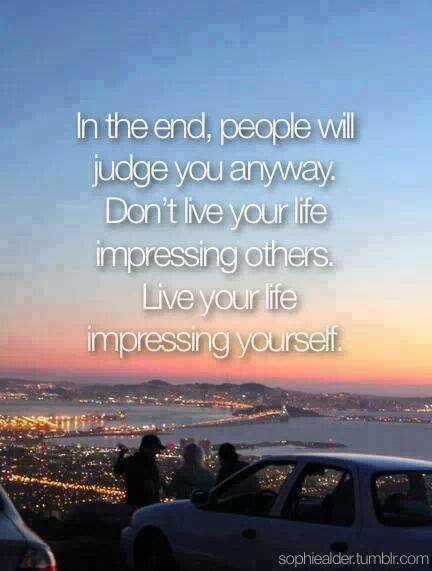 Don't live your life impressing others. Live your life impressing yourself. Join www.vegfriend.com to connect with veggie friends from all over the world! — with Les Riot.